The Best Blu-Rays and DVD Box Sets For Your Friend Who's Seen Everything! 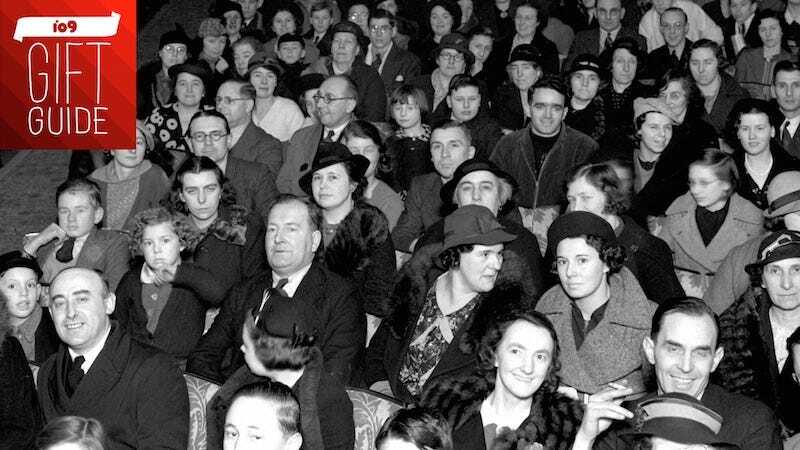 Movie fans can be hard to shop for—because chances are, they already have tons of memorabilia. Luckily, the world is full of amazing box sets that include tons of extra material, and look great on a shelf. Here’s our complete 2015 guide to drool-worthy DVDs, Blu-rays, and elaborate box sets. It’s the highest-grossing movie of 2015 so far. 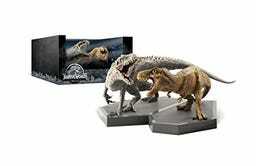 And if your friend or loved one wants to appreciate it all over again, what better way than in this awesome, limited edition set that immortalizes the best scene in the movie, the Indominous Rex vs. the Tyrannosaurus Rex? Not only does it include the movie in 3D, DVD, Digital HD, and more, it also has all the extras—plus a super cool piece for the shelf. Even when your favorite Jurassic fan doesn’t feel like actually watching the movie, he or she will be able to enjoy it. Did watching Jurassic World this year just make you pine for the original films? Well then, this box set is for you (or a similarly dinosaur-loving friend on your gift list). It’s got the first trilogy of films (yes, there were three, though most sane people ignore at least the third) as well as Jurassic World, which continues the story. The issue here is, they’re making another sequel, so in 2018, this set will be outdated. But that’s a long way away and if you want them all right now, here you go. If for some crazy reason you still don’t own Back to the Future on Blu-ray, you just got lucky. Universal put out what is basically the definitive release for the franchise, which includes all three films, a ton of extras, and the complete animated series for the first time on disc. And it all comes together in an amazing package that looks like the flux capacitor. Buy this collection, and rest easy that you—or whoever you gift this to—will have the best Back to the Future set ever. Admit it, you want to own every single Marvel movie. And if you can, you’d love to own some of the props in the movies too. Which is why this collection of all of the Phase 2 movies (Iron Man 3, Thor the Dark World, Captain America: The Winter Soldier, Guardians of the Galaxy, Ant-Man, and Avengers: Age of Ultron) is so incredible. 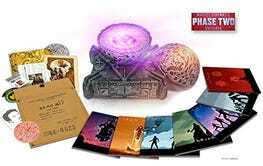 You get all the movies, with exclusive artwork, and you get it in this incredible case that looks like the orb from Guardians of the Galaxy. This set is at the top of every geek’s wish list. The bad news? Hayao Miyazaki says he’s retired. The good news? If he’s done making movies, you can buy a set like this for your favorite Miyazaki fan; it has every movie he’s ever directed put together in serene-looking packaging, complete with art book and more. Beyond that, this set is basically a laundry list of the best animated films ever made, from My Neighbor Totoro, to Spirited Away to his last film, The Wind Rises. 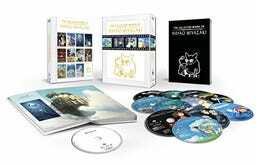 Every single genre, emotion, look, character, animal, tone and so much more has been explored by Miyazaki, and now it’s possible to own every film in one set. No, these are not the original editions. 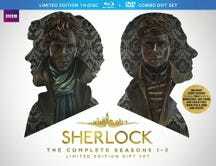 These are just the latest re-release of the Special Editions which are mostly filled with moments many of us hate. That said, it’s still Star Wars on Blu-ray and if you can’t wait for the hypothetical set with all those CG effects wiped out, you can’t do much better than this. Each release is in a brand new sleeve that’s a must have if you’re a Star Wars obsessive. With the continuing tales of Ash now running on TV weekly, it’s time for you to firm up your understanding of what and where the character has been before. 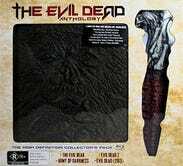 Enter this release, which features all three Sam Raimi-directed Evil Dead movies which range from scary and cool, to scary and funny, to just plain funny. It really is a well-rounded, balanced and fun series of films that’s celebrated now and will be celebrated for a long time. It also has the recent remake and super cool Necronomicon packaging. Though there’s a new Sherlock special coming up soon, we don’t know when the show will come back for another series run. It might be soon, or maybe not—but with this gift set, you can relive the incredible tales of Sherlock and Watson again and again. As good as each of these episodes are on first watch, they get better each time because each is layered and put together like a good mystery. And I mean, who wouldn’t want busts of Benedict Cumberbatch and Martin Freeman for their very own? The comedy classic—possibly history’s most-quoted comedy classic—turned 40 this year, and this special edition Blu-ray has all the bells, whistles, and flying farm animals you’ll ever need (BYO French-accented taunts, though). It also comes with letters from co-directing Terrys Jones and Gilliam, a new Q&A with the Pythons taped at this year’s Tribeca Film Fest, “lost animations” introduced by Gilliam, short How to Use Your Coconuts (An Educational Film), and more. Buy this for yourself (you know you want it), or share the magic of killer rabbits and unladen swallows with your favorite budding young comedian. Pixar’s 2015 hit about the emotions that live inside a young girl also happened to be a brilliant film—which means you can gift this one to a kid but also know that his or her parents will appreciate it, too. Here’s the perfect gift to tide over that David Lynch fanatic in your life who can’t stop talking about the upcoming Twin Peaks reboot. Lynch’s 2001 Hollywood-set thriller gets the sparkling Criterion Blu-ray treatment, which means you can ponder the movie’s mind-bending plot twist alongside new interviews with Lynch, breakout star Naomi Watts, composer Angelo Badalamenti, and others, plus set footage and more. David Cronenberg’s The Brood is also newly on Criterion Blu-ray ... just the thing for that thrill-seeking film fan in your life who’s longing to go “beyond fear, beyond terror, beyond the boundaries of your mind,” per the 1979 horror film’s trailer. And even if they’ve seen The Brood before, they’ve never seen it like this, with a restored 2K digital transfer approved by Cronenberg himself; a new doc all about the making of the film; a new transfer of Cronenberg’s second-ever feature, 1970’s Crimes of the Future; and several older but still worthy features, like a 1980 TV interview with star Oliver Reed. Another one of our favorite horror movies of 2015—but quite different in tone and execution. This vampire mockumentary offers more laughs than frights. A lot more. In fact, the whole movie is hilarious—and the humor holds up over multiple viewings, too. Speaking of horror comedies (and more specifically, horror comedies that we loved but got somewhat limited releases), here’s another one for your gift-giving consideration. The cast is excellent (Elijah Wood, Rainn Wilson) and the humor is awesomely absurd. No Suspiria in this set, but this blood-drenched trio of films from the Italian horror master is still a worthy addition to any fright fan’s library. Including The Cat o’ Nine Tails, Deep Red (with its memorable score), and Inferno—part of the “Three Mothers” trilogy, that also includes Suspiria. Intriguing extras—including interviews with director Argento specific to each of the three titles—elevate a collection that’d be worth it for the movies alone. Another three-movie collection from a different Italian horror master, and you can’t go wrong with any of these titles: City of the Living Dead (zombies led by an evil priest); The House By the Cemetery (mad scientist, plus some of the most terrifying dubbing ever recorded), and The New York Ripper (which manages to make talking like Donald Duck the creepiest thing imaginable). Much like that Back to the Future set waaaay atop this list, this is the only Troll-related combo platter you ever need add to your gift pile. It contains the first film—notable for an appearance by a very young Julia Louis-Dreyfus—and its sequel, notable for being one of the most hilariously awful films ever made. It also contains Best Worst Movie, a documentary made by one of Troll 2’s stars, about the film’s bizarre and unbelievable rise to cult fame. Troll 2 fans already know, this set would make a perfect “hospitality” gift!